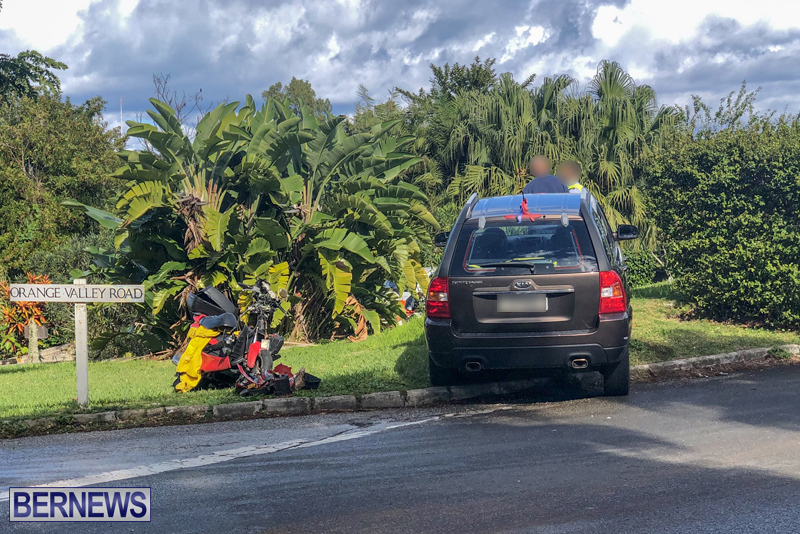 [Updated] Emergency services responded to a collision earlier today [Jan 16] on Middle Road in Devonshire near the junction with Orange Valley Road, that appeared to involve a car and bike. 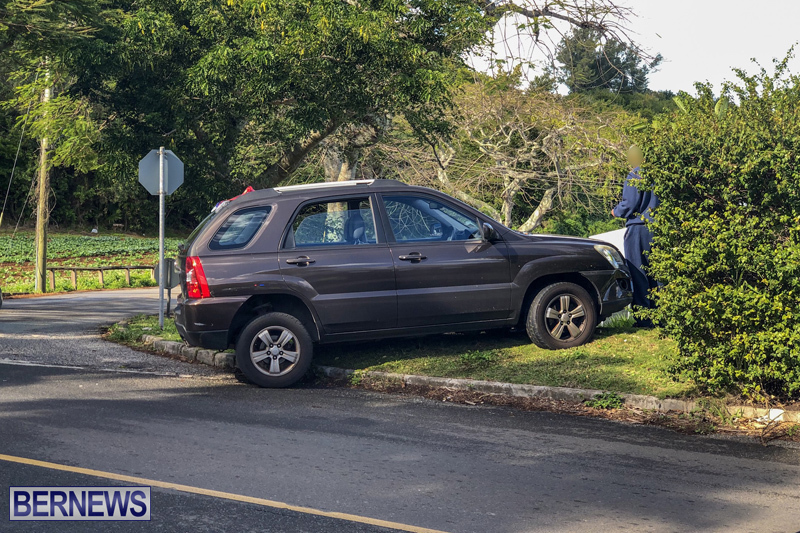 Bermuda Fire and Rescue Service personnel, police and an ambulance all attended the scene, and it is understood that at least one person was taken by ambulance to King Edward Memorial Hospital for treatment. Further details are limited at this time, however we will update as able. 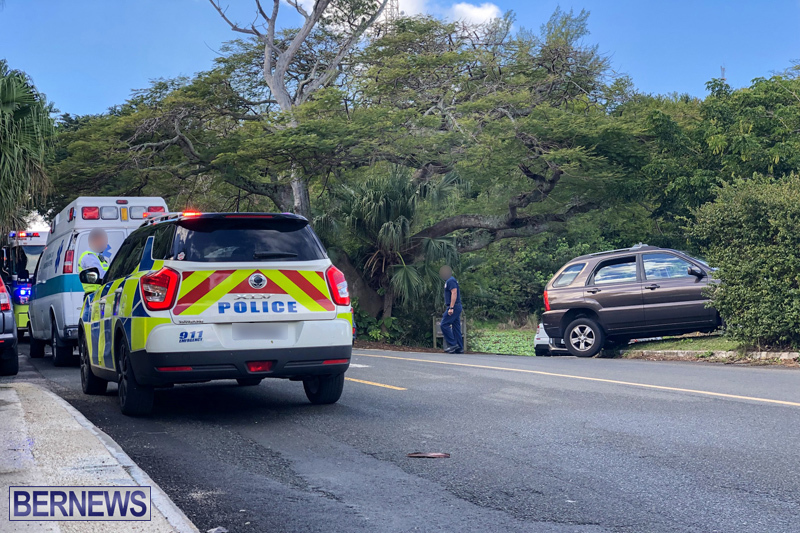 Update January 17, 11.56am: A police spokesperson said, “Around 12:30pm Wednesday January 16th police, fire and ambulance personnel were dispatched to a reported two vehicle collision at the junction of Middle Road and Orange Valley Road in Devonshire. 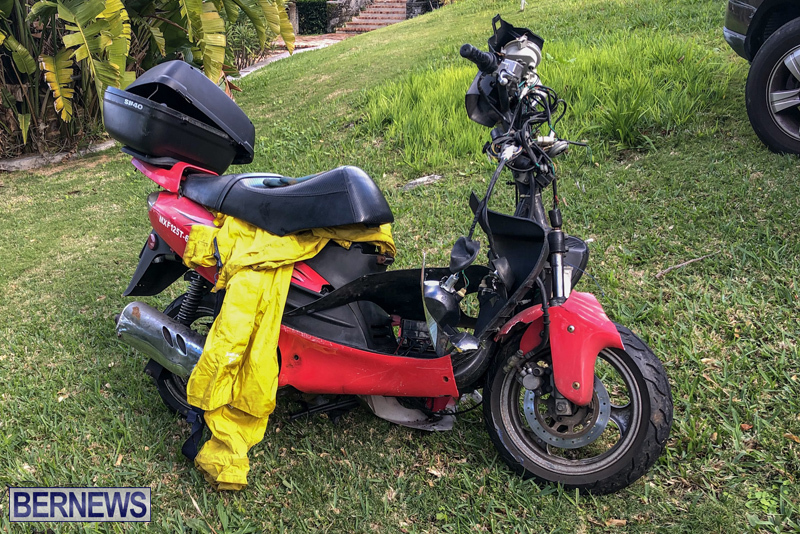 “It appears that a motorcycle was being ridden along Middle Road and a car was being driven along Orange Valley Road when the collision occurred, as the car driver attempted to enter Middle Road. “The injured rider, said to be a 56-year-old Devonshire man, was transported to King Edward VII Memorial Hospital via ambulance, treated and later discharged. “There were no other injuries reported. However, both vehicles involved were damaged.